Today, compote is normally a topping. Stella Parks’ created a recipe to prepare apple compote the old fashioned way, as a dessert dish. She uses a mix of apples. They are peeled, cored, and sliced. Extra care is used to pare down any sharp edges. 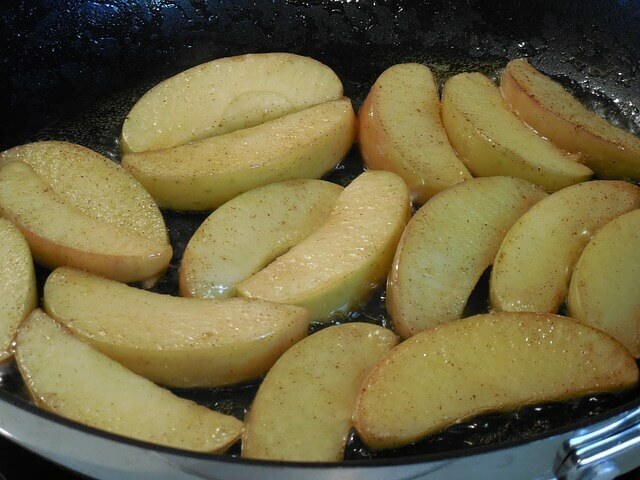 They are then poached in a syrup of apple cider and brown sugar with lemon peel and cinnamon. Drain the apples when they are Al Dente. Serve warm or at room temperature. The syrup can be reduced and used to sweeten drinks.